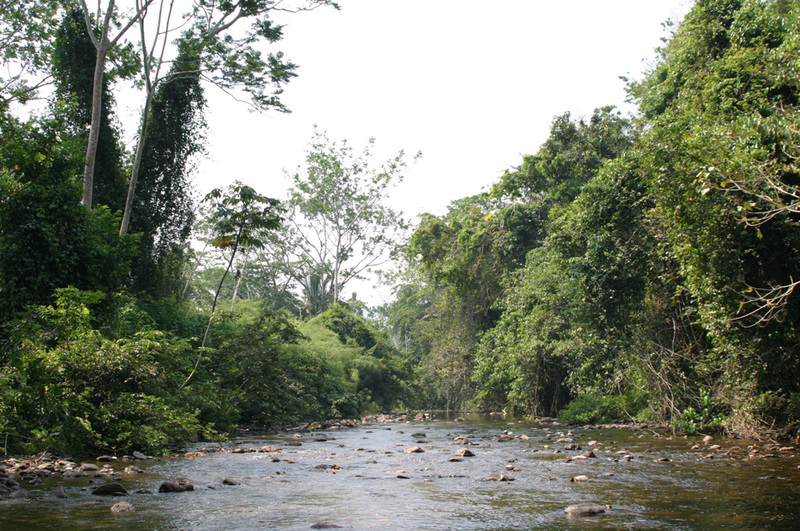 While many people head to Belize to island hop and do a bunch of water activities, another popular choice is to head inland to the jungles of San Ignacio. 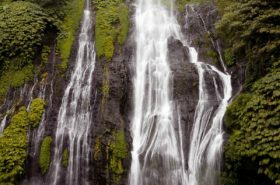 Located about 2 hours from Belize city next to Guatemala, San Ignacio is home to a ton of cultural and adventurous activities. 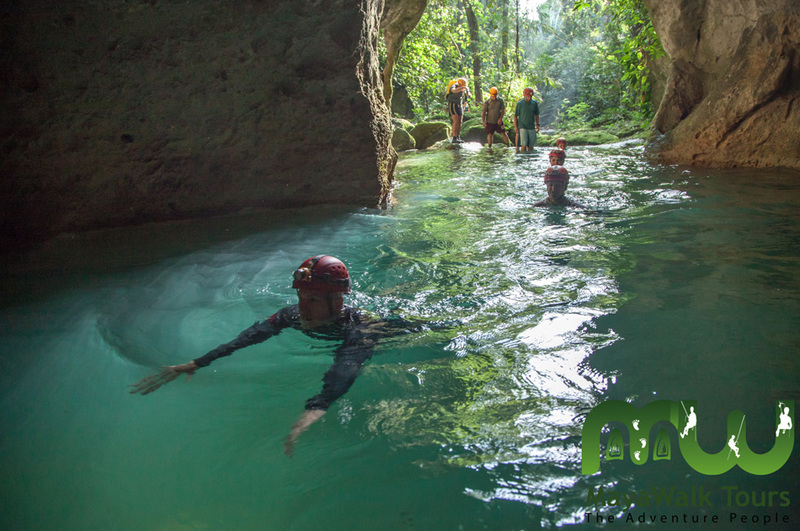 We chose to schedule 2 activities with MayaWalk Tours, one horseback riding to Mayan ruins, and another exploring the world renowned ATM Cave. No cameras are allowed inside the cave due to past instances where people have dropped their devices on the actual ruins – YEAH. Don’t be that tourist that creates a hole in a 1000+ year old skull because you were trying to take a selfie. The day of the tour we checked in at the office, were loaded into a van, and drove an hour into the jungle. Here we geared up with helmets and were told that after some walking and river crossing, we would arrive at the ATM cave. The walk only took about 20 minutes, and it was all on flat ground. Our guide briefed us on some Mayan history and pointed out animals/bugs along the way. We then got to our first river crossing. It was deep enough that I needed to swim, but there is a rope to hold if you need assistance. 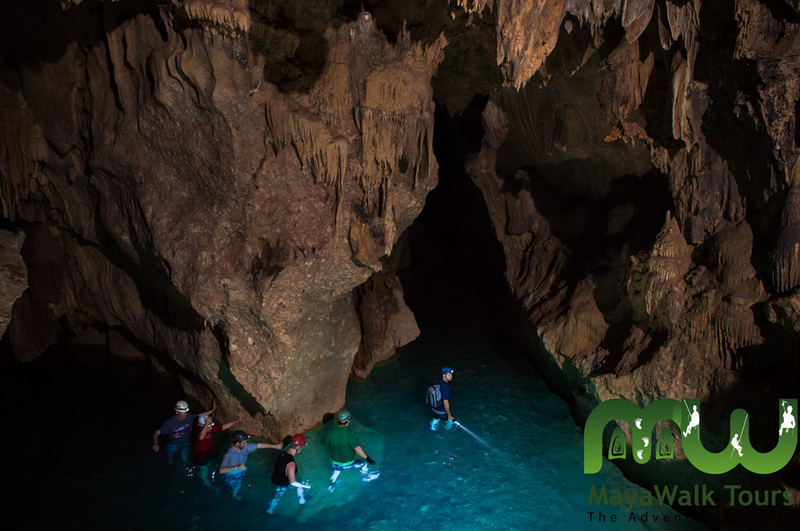 After another short walk and another shallow river crossing, we finally reached the ATM Cave. We had to swim a short distance into the cave – harder than I thought because we were wearing full clothing and water shoes, but still relatively quick. The water was cool and refreshing, and we were quite relieved to escape the Belizean sun. 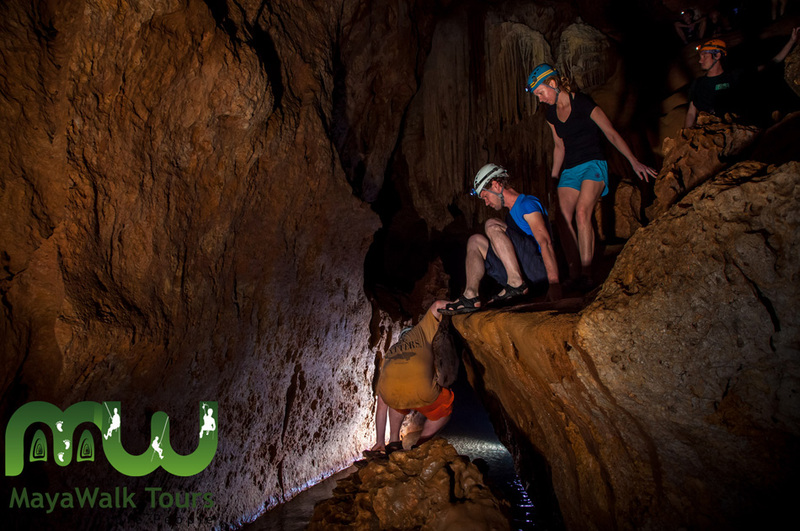 We spent the next few hours swimming and climbing through the dark caverns, maneuvering around stalagmites and catching glimpses of fruit bats. We saw tons of artifacts along the way, mostly pottery, and learned so much about the Mayan culture. According to Mayan religion, the deeper we traveled in the cave, the closer to the underworld we got. 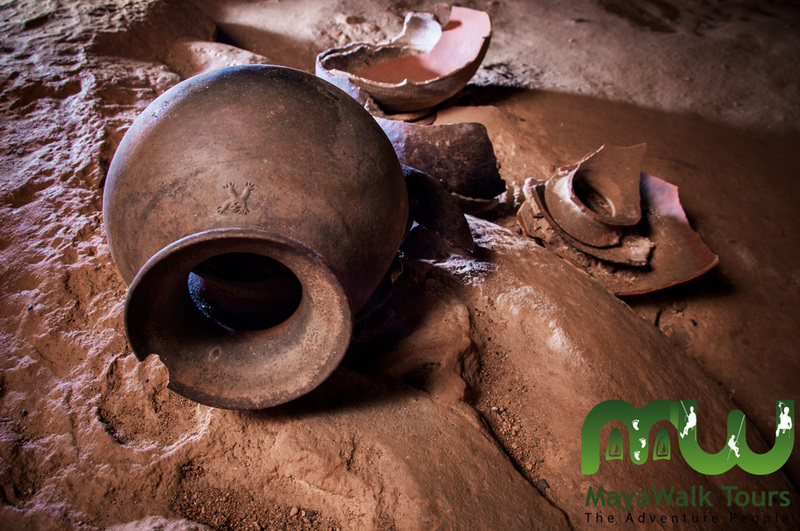 We then started to see bones, learning of the Mayans who suffered from the drought from about 800-900 A.D. In an effort to appease the rain god, human sacrifices were made in the cave, with lots of evidence shown to us along the way. 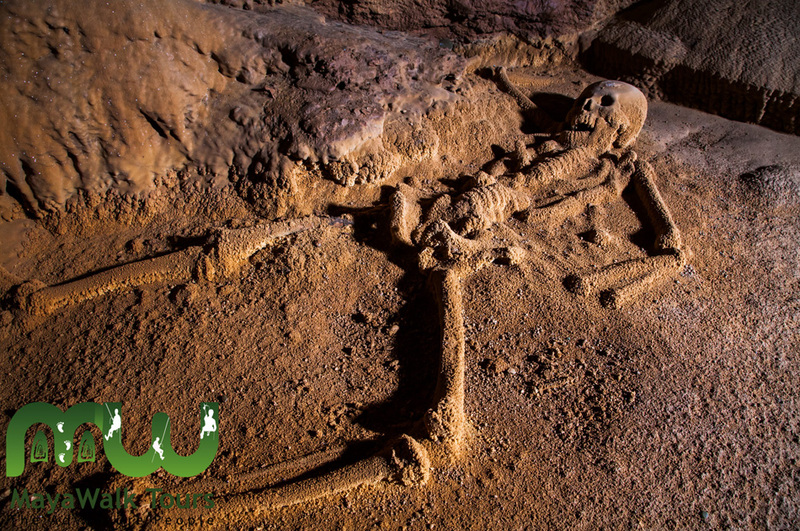 At the end we saw a skeleton, still fully intact and exposed – nicked named “The Crystal Maiden.” The setting was chilling, our imaginations going wild at this rare glimpse of preserved history. It was one of the best tours we’ve ever done by far. We didn’t know much at all about the Mayans, but the tour ended up being extremely educational. Being able to see ancient artifacts like that in their original setting was mind blowing – it’s a crazy, real-life look at how humans operated a thousand years back. 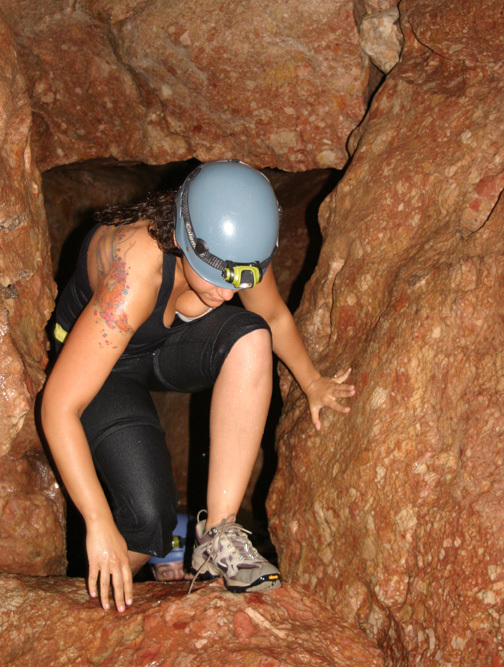 It also appealed to our adventurous side – swimming and crawling through dark caves definitely gives quite the thrill. Not to mention the occasional cane spider and tons of guano – it was always interesting thats for sure. The difficulty and fitness level is moderate – we had to crouch through some tight spaces and climb up ladders and rocks, but us ourselves had no issue. 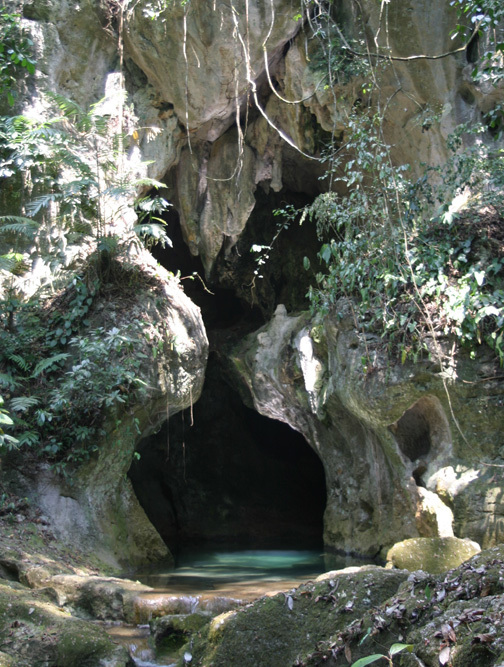 When heading to Belize, make sure to add the ATM Cave to your list. It’s not everyday you can witness such an untouched piece of history in it’s original state, so I say visit it while you still can. National Geographic named it the #1 Sacred Cave in the World! MayaWalk was an extraordinary tour company, and their friendly guides really know their stuff. (They even provide free lunch on the tour – crazy good, still drooling over that chicken and rum punch!) 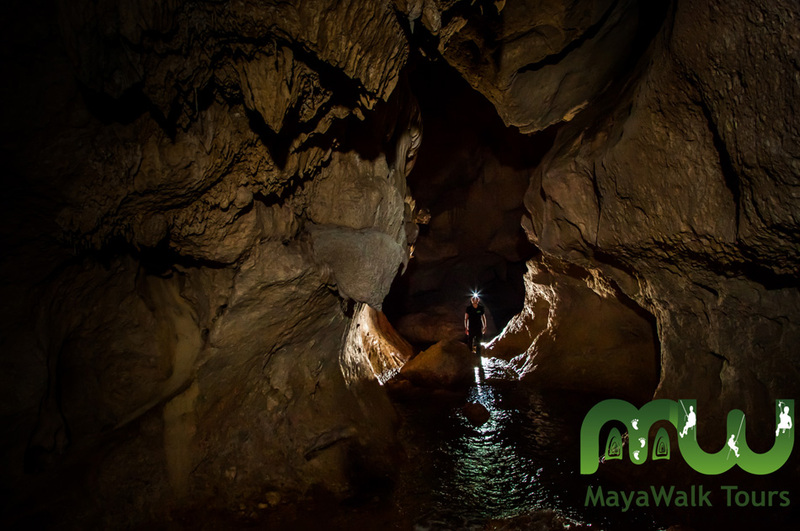 From horseback riding to caving, MayaWalk is a great choice for all your activities in San Ignacio. I can now proudly add “swimming through dark sacrificial caves” to my list, and I’m darn proud of it. I heard about the camera ban from a few other blogs that I follow. That pisses me off so much that some clumsy tourist ruined it for everyone else. I could only imagine what it must have been like to be there to witness that jackass destroying that skull with their camera. My buddy and I toured ATM Cave back in 2009, so cameras were allowed back then: http://bit.ly/2dk3l7y. 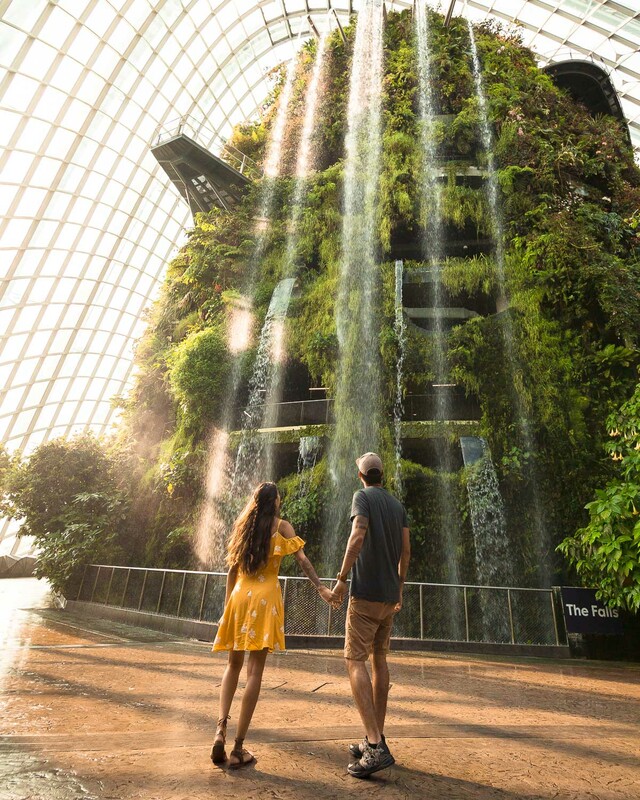 Do they have someone taking photos for group tours now? If so, then that’s not too bad since you can just focus on the tour itself instead of worrying about getting the “best shot.” Or do they just try to sell you a CD of stock photos instead to visitors? I can only imagine, it must have been freakin terrible! 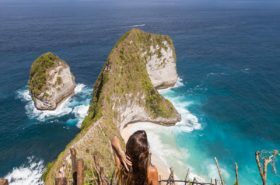 They just have a set of stock photos that they email to everyone on the tour for free, the guides don’t take any pictures either. It was kind of nice to be free from tech for a few of hours!